Dana Weddle began riding horses at the age of 10. She has been training professionally for many years. 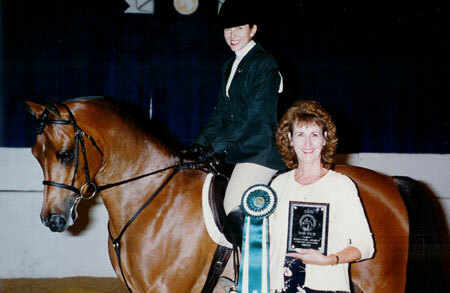 Her skill and dedication have paid off with successful and healthy show horses. 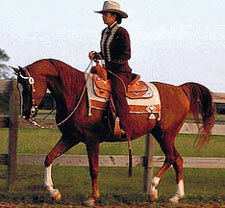 Dana is very gifted in recognizing quality horses, as she has worked with many of the Nation's best. Quality U.S. National-Level show training. We compete often and get results. Quality health management. No one does it better! We are members of the Arabian Horse Association (www.arabianhorses.org) and focus on training Arabians and Half-Arabians for English, Western, Hunter, and Halter. We start the young horse, prepare the amateur rider, and evaluate your horse's show and sales potential. We value our customers and our professional connections. Check out our site. Then contact us by phone or email. We hope to talk with you soon. See you at the show!